We all know how important it is to track every one of your business expenses. Yes, it is a lot of work. It already seems that you have enough on your plate. With all this, comes another. Expense reimbursement. It’s 2019. Giving your employees a cash advance and filing the reports after is archaic, inefficient, cumbersome, and inefficient for both the employees and the business. Think about it – writing all your expenses on a paper, gathering all those receipts, stuffing them into your wallets and purses, keeping them safe and finally submitting them to your manager–what a drag! It’s time businesses switch to an online reimbursement tool which is also an expense manager like Apptivo Expense Reports. Nobody has got time to juggle between apps. It’s more reliable, instant and automated. In large organizations and enterprises, where they have extensive expense policy in place, validating them can be a monumental task tracking policy violations can be a mammoth task in a large organization which follows a paper or spreadsheet-based expense management process. 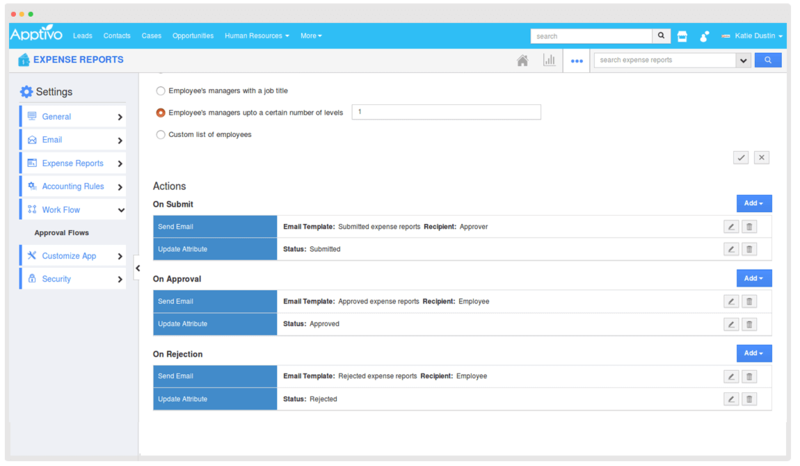 Finance teams have to deal with multiple expense reports from all the employees with different hierarchies and expense policies. Manually cross-checking the expenses and policies isn’t going to be here. With so many different hierarchies and policies, it’s not just complicated but also time-consuming. The processing cost of reimbursement isn’t just the paper cost but also the time spent by the HR/Finance team to verify and reconcile the expense is also a cost borne by the company giving out reimbursements. Let’s say John Doe traveled from Freemont to San Francisco to meet a client. During his travel, he spends on a cab, meals, lodging, etc. To record these expenses all he has to is open the Apptivo mobile app, take a picture, submit the expense and he’s done. The manager can view them instantly, approve/reject or take necessary actions. It’s as simple as that. 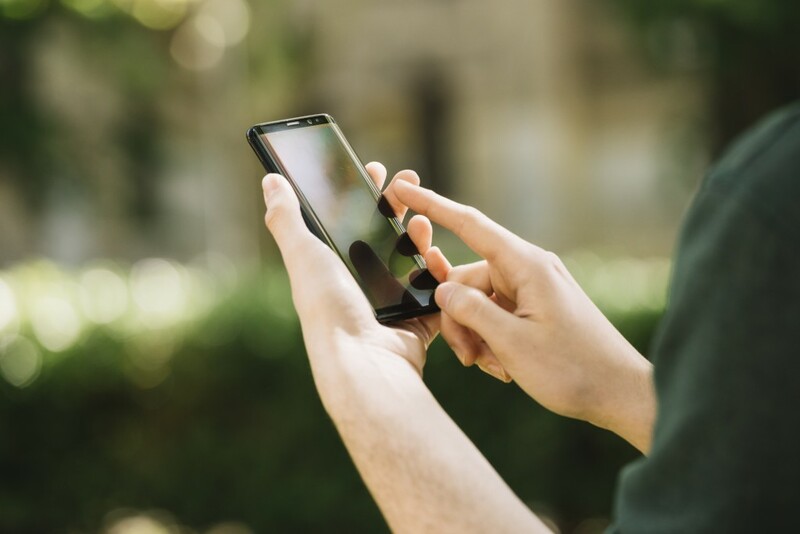 All your expense reimbursements will be centralized, easy to access and your information will be safely stored, accessible from anywhere and anytime. You can see how cloud reimbursement tool can reduce the time taken to the entire process by 70%-80% percent. So, it is evident that anyone would want to move to a cloud solution. But not all the expense management software is not created equal. You can nearly find dozens of tools online, but the following three key features is a must for any business that constantly has their employees on the move. The expense reimbursement process doesn’t usually end with two people. The submitted report might go through various levels of approval. When the manager or finance team has piles of papers on their desks that they need to verify, the process can be slow and cumbersome. With automation in Apptivo, you could define a set of policies and system will automatically approve/disapprove expenses instantly and can save time. This goes without saying. 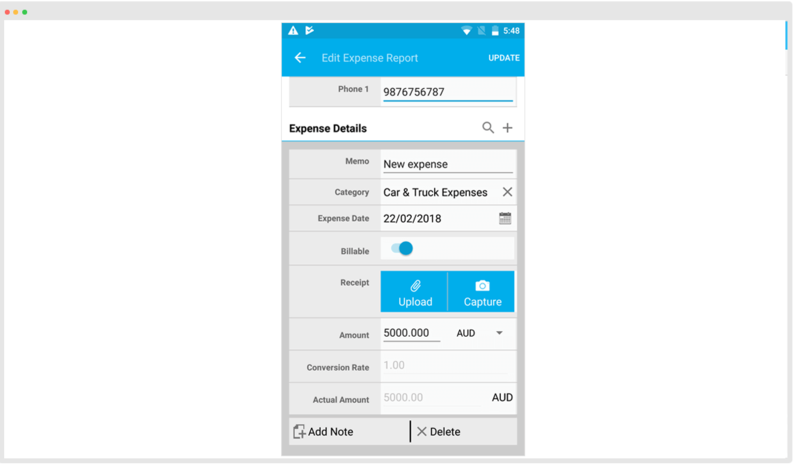 Expense management software that allows your employees to access it through their mobile devices and stay connected with your team to track and submit expenses on-the-go. You don’t have to hang on to your receipts until the end of the month or trip. Just take a photo of the receipt on your phone, upload and submit it. 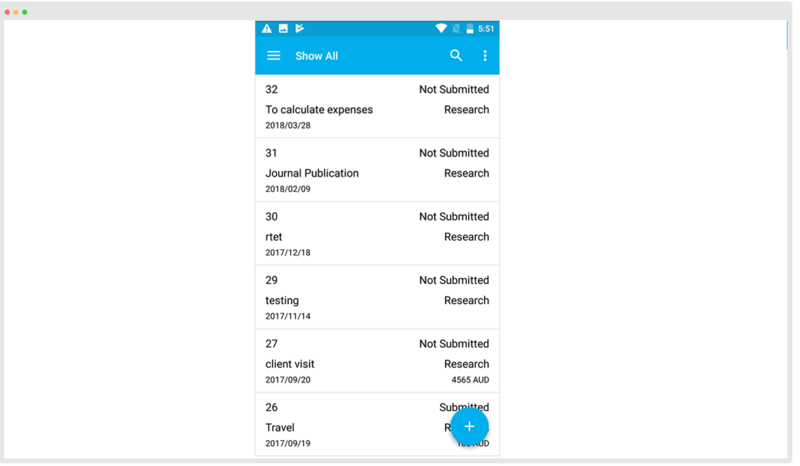 Apps like Apptivo, even allow you to add notes while recording an expense. That means that there is far less of a hassle keeping track of receipts and paperwork while on the road.